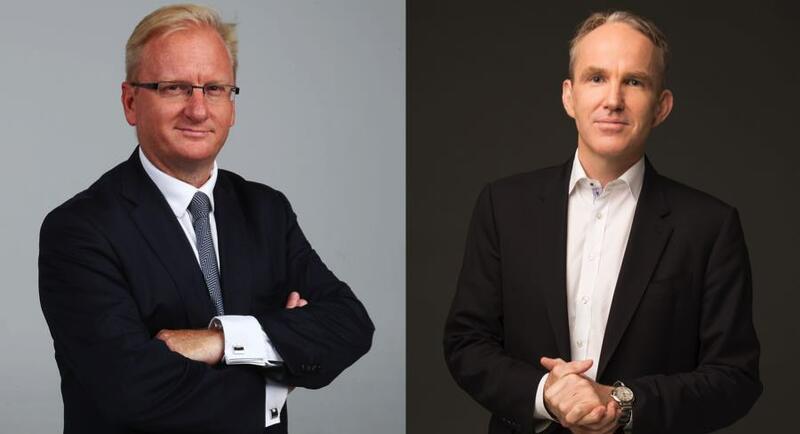 Paul Whittaker will replace Angelos Frangopoulos in the role of chief executive officer of Australian News Channel Pty Ltd (ANC), operator of Sky News channels – Sky News Live, Sky News Weather, Sky News Extra, Fox Sports News and the joint venture with Nine Network, the new Your Money channel. 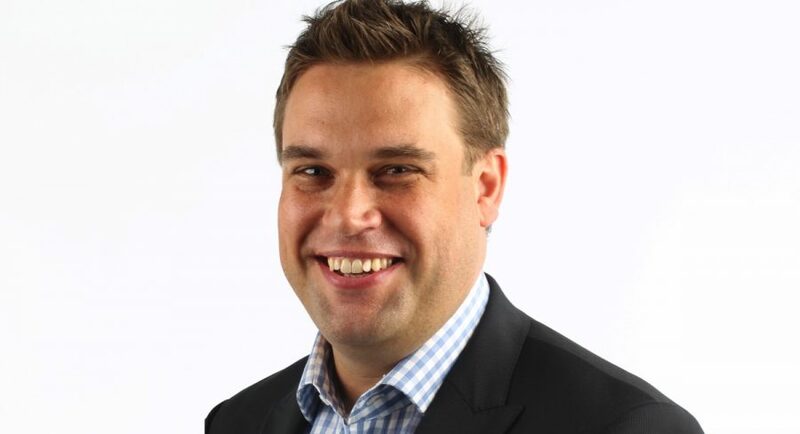 “This appointment recognises Paul’s extensive and proven journalistic leadership and his intimate understanding of the Australian political, business and evolving media landscape, as well as what drives and engages audiences,” Miller said. Whittaker, a three-time Walkley Award-winning journalist, was editor of The Australian from 2007 to 2011, and editor of The Daily Telegraph for almost five years before being appointed editor-in-chief of The Australian in 2015. “Live news, like live sport, is a huge driver of audiences and future growth for our businesses,” Whittaker said. Whittaker will commence at Sky News on Monday October 15. Michael Miller announced that Chris Dore, editor of The Daily Telegraph, has been appointed editor-in-chief of The Australian. Dore said it was a great honour to return to The Australian where be began his career as a cadet reporter and spent more than 15 years in senior editorial roles, including as deputy editor. Ben English’s appointment marks a return home to Sydney and also to the newspaper where he began his career. 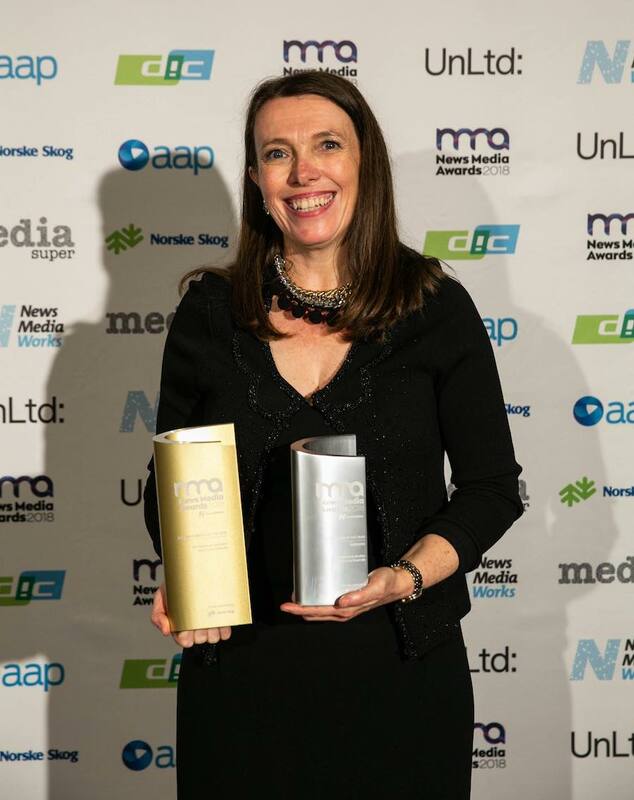 Rachel Hancock, former editor of the NT News and deputy editor of The Advertiser in Adelaide said she was thrilled to take the reins of such a vibrant and respected news brand as the Gold Coast Bulletin. During Michael Bublé’s whistle-stop Australian tour he played only three shows – a Sunrise concert in Sydney’s Martin Place, a one-off stadium show to close Allianz Stadium and smoothfm’s Feel Good Night show for just 400 people at Sydney’s Seymour Centre. 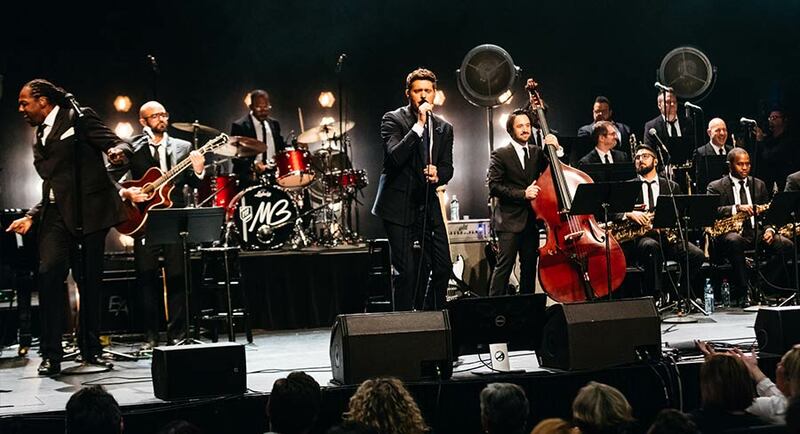 Even though Bublé was playing for a small crowd in an intimate space, he didn’t skimp on the presentation, bringing his complete 26-piece orchestra to the Seymour Centre stage. Prior to the performance, Nova Entertainment hosted clients to cocktails in the venue’s Sound Lounge with smoothfm weekend announcer Richard Wilkins welcoming the guests. Sydney commercial director and market lead Luke Minto spoke, as did Nova Entertainment CEO Cathy O’Connor. She recalled the very first song played on smoothfm was Bublé’s Haven’t Met You Yet. “Michael Bublé typifies every single part of the DNA of this wonderful brand smoothfm,” O’Connor said. 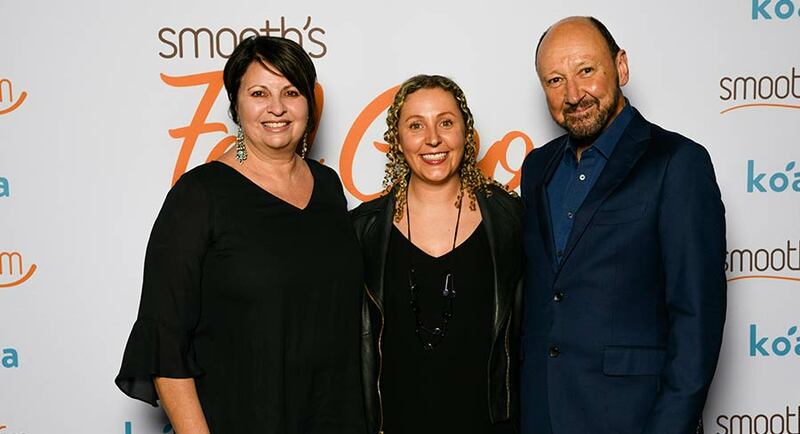 “I remember over six years ago when we came up with the idea for smoothfm we thought we had to do something different from what else was happening on FM. 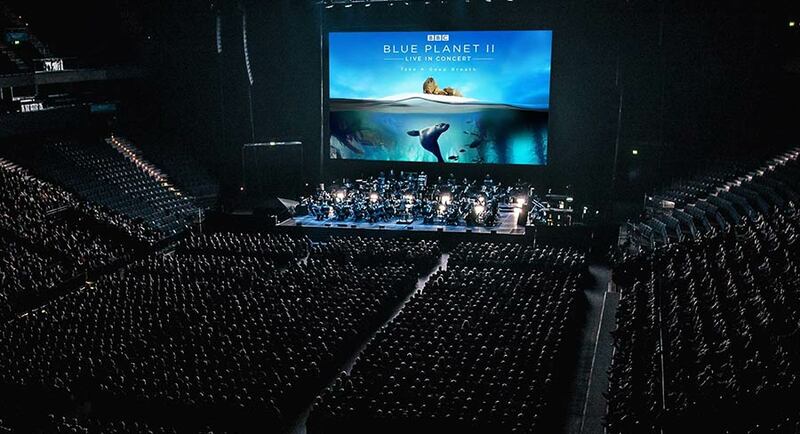 If we did more of the same we would have all just shared the same audience. We knew we had to be different and we had to be bold and do something that no one else is doing. “These were two men in their 40s who loved The Carpenters,” O’Connor laughed. 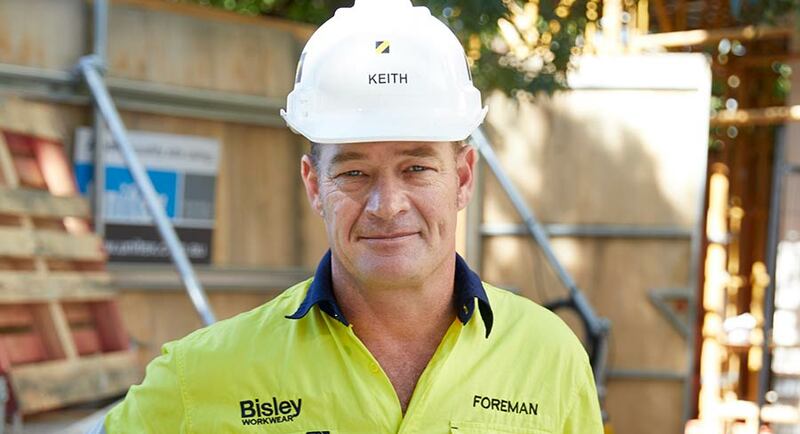 “I grew up in Australia and I don’t know too many men in their 40s who love The Carpenters. It’s usually all about rock and INXS and Midnight Oil. These guys were kind of in touch with their feminine side, which of course is no problem at all. “They got so excited with the concept they said they were going to get Michael Bublé in the smoothfm ad. I said that was a great ambition and I was glad they were aiming high. 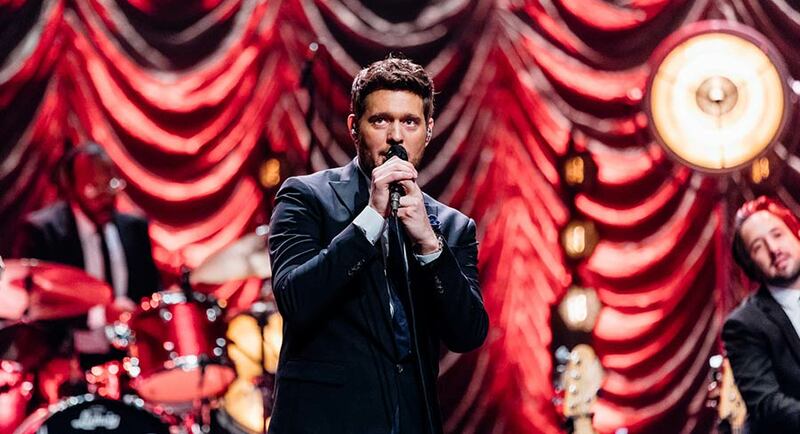 If there is one artist that typifies what smoothfm is all about it is – which is feelgood, relaxed and fun and contemporary with wonderful music – it would be Michael Bublé. “I told them if they could pull that off they would be legends. O’Connor noted how good the smoothfm commercial featuring the Canadian singer was, and it is something they still run six years later. “I don’t think there’s any radio station in the world that got that much mileage out of a commercial – it was just perfect. Bublé started his performance with I Only Have Eyes, followed by When I Fall in Love, new singles Such A Night and Love You Anymore, and classics Nobody But Me, Save the Last Dance and Feeling Good. Some of the tunes were from his new album Love, his first studio album in two years, which will be released on November 16. Guests at the event included smoothfm 95.3 breakfast hosts Bogart Torelli and Glenn Daniel, smoothfm weekend announcer Richard Wilkins and partner Virginia, morning announcer Ty Frost, Kate Mason – smoothfm’s head of music, smoothfm program director Georgie Page, Peter Clay – head of programming Nova 96.9 and smoothfm network, Leanne Gibb – group marketing director, Claire Marshall – music marketing director, Ben Latimer – Nova 96.9 and Nova 919 program director, Rob Sloan – agency sales director, Polly Goodchild – brand & promotions director – Nova, smoothfm & Fiveaa, Nova’s Kent “Smallzy” Small and EP Zach La Cava, smoothfm 91.5 breakfast producer Lauren Saylor and smoothfm 95.3 breakfast producer Anna Crotti. Others in attendance included Billy MacLeod – Warner Vice President Promotions and Publicity, Graham Donald – Seven creative director, Foxtel’s Danny Keenan – head of artist & music industry relations, Foxtel’s Fraser Stark – GM arts and music, Jamie Campbell – Foxtel’s director publicity & talent, Sasha Mackie – Foxtel’s head of marketing, Daily Telegraph’s Fiona Wingett, Vivienne Kelly – Mumbrella editor, Pippa Chambers – editor AdNews, Cameron Adams – national music writer News Corp and 9Honey’s Shelly Horton. 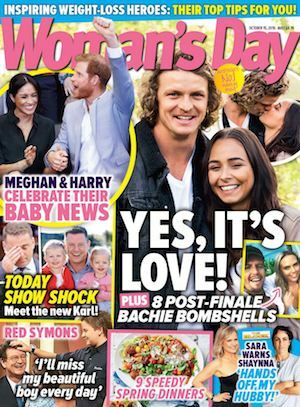 Women-targeted content network Now To Love isn’t about publicising its own brand but rather the Bauer Media titles that sit under its umbrella. 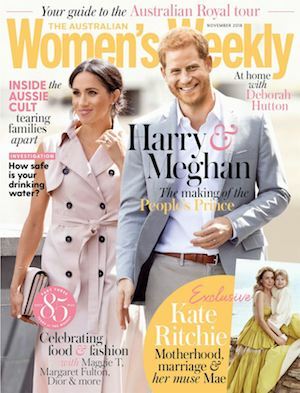 The editor of the network, Fiona Baker, told Mediaweek that names like Woman’s Day and The Australian Women’s Weekly are so recognisable that it would be foolish not to use their brand power to attract eyeballs. She described Now To Love as a “department store”. “Now To Love is still a baby. It is only 18 months old,” Baker said. “It’s unique, because it provides scale that is home to well-known, heritage magazine brands that still have a connection with their audience. Each Bauer brand has its own tone and style of content that it produces so there is something to suit every reader’s mood and taste. There is a team of journalists and producers who keep track of what content is produced in which magazine. They take the content that is relevant to Now To Love’s readers and put it online. Along with this, the network produces about 80% of its own content. “It is just branded and powered by the magazine brands. We are working in real time,” Baker explained. 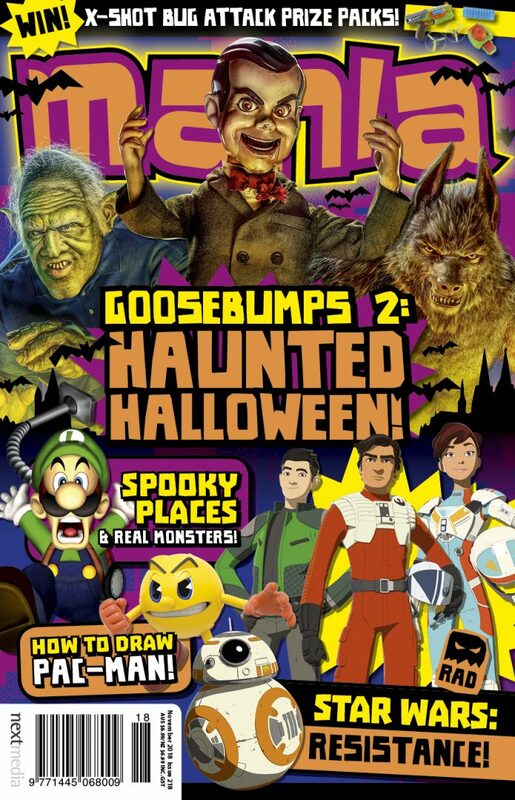 “We only take a small amount of content from print. The duplication of audience is minimal. A reader of Woman’s Day online isn’t necessarily a reader of it in print. We are very aware of that. “Any content that we produce we make sure speaks in the voice of the brand that it is going to live under. News Corp’s The Australian has had a good year so far with its digital subscription growth and the uptake of its true crime podcast The Teacher’s Pet. The podcast has clocked up over 22 million downloads since the first episode dropped earlier this year. 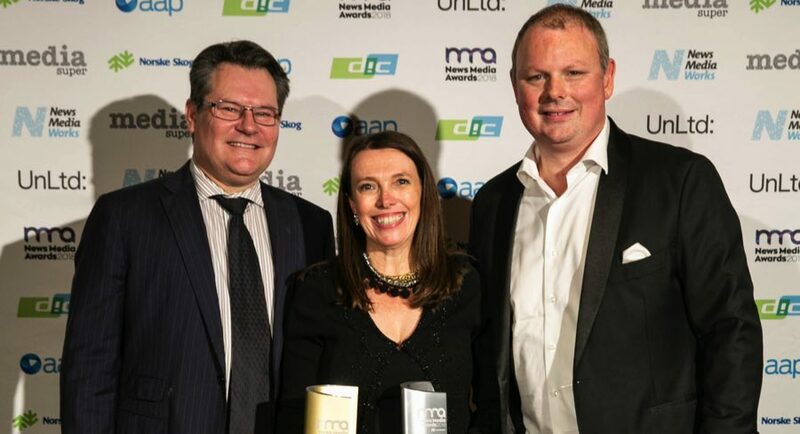 Another reason for the national masthead to celebrate is that its weekend paper The Weekend Australian took home the titles of inaugural News Brand of the Year and the Weekend News Brand of the Year at the refreshed 2018 News Media Awards (formerly called the Newspaper of the Year Awards). The Weekend Australian is a seasoned winner at the awards, having won the weekend news category four times in the last five years. However, the paper’s editor Michelle Gunn was still “surprised” by the recognition. 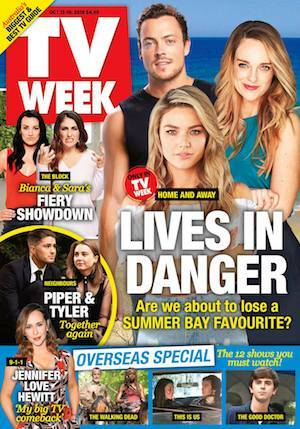 “The win means the world to me because it is recognition of everyone who works on the paper,” Gunn told Mediaweek. 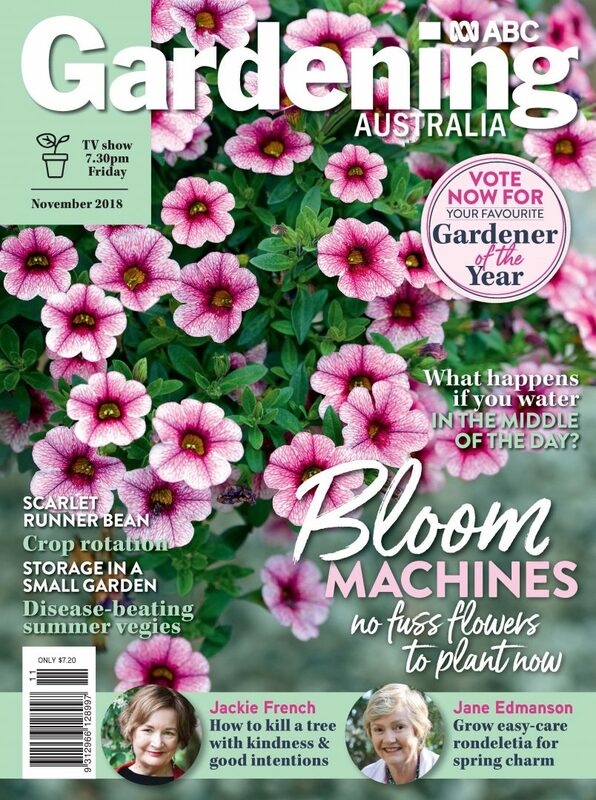 In 12 months to June 2018, The Weekend Australian’s readership climbed to 639,000. This shows the importance of it to the local news consumers, Gunn said. “That may surprise some people because there is a lot of talk about the decline of print. For us, the weekend newspaper is the biggest newspaper of the week. There is still a strong urge among the consumers of The Australian to pull its weekend edition apart and spread the broadsheet over the dining table to immerse in the reading it has on offer. “It’s an interesting thing,” Gunn said. “For some readers it is something they grew up with. They love the tactile feel of paper. “People still like to read a 3,000-word article without scrolling on a screen. “Having said that though,” Gunn said, “we now have more than 115,000 subscribers. Some of the biggest growth is in digital, so some of the biggest changes we have made are in the area of digital storytelling. Australian Ninja Warrior is losing its dramatic Sydney Harbour location with confirmation that Nine’s smash-hit program will be returning in 2019 for a third season at its new home in Melbourne. 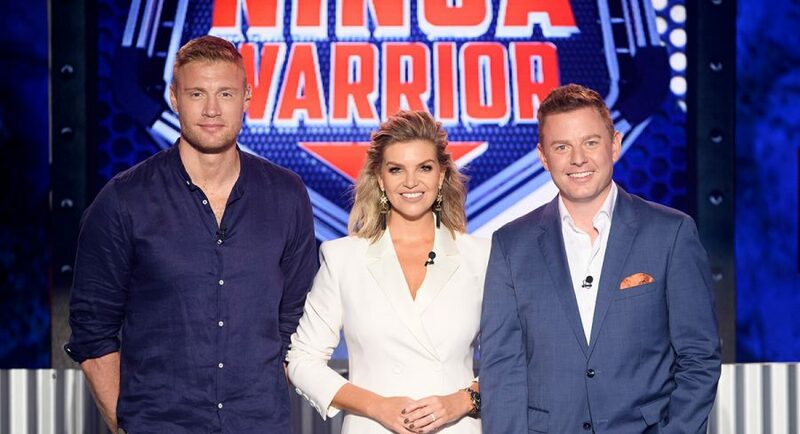 Nine has announced that hosts Rebecca Maddern, Ben Fordham and Freddie Flintoff will return for the next season. Fan-favourite Ninjas will also return to compete alongside fresh faces who have been inspired by those who have braved the course before them. Nine’s CEO Hugh Marks said: “With a relocation to Melbourne, Australian Ninja Warrior will return with brand new, breathtaking elements, taking this remarkable show to a new level of awe-inspiring entertainment for Australians of all ages. The move has been made possible with the support of Visit Victoria. 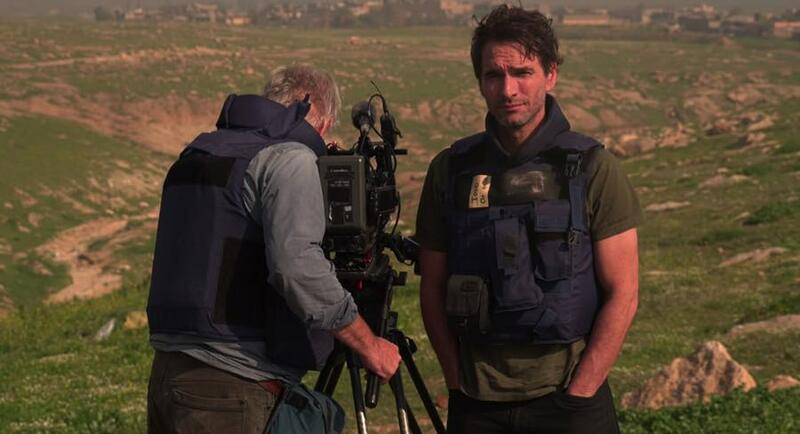 Todd Sampson, former CEO and chair of ad agency Leo Burnett, ABC News Breakfast co-presenter Virginia Trioli and premier Australian and international podcasters feature in the radio industry’s Radio Alive 2018 conference program released today. Sampson will present the session Brain Power and provide practical tools and strategies to boost creativity and brain power. Returning to Radio Alive after a successful Q&A panel last year, Trioli will lead a discussion panel on the influence and impact of the media in and on society. Three podcast sessions have been included at this year’s conference. The sessions called I Have an Idea for a Podcast, Will You Sign Me Up?, Building Your Podcasting Game and Did You Want a Brand with That? will explore the growing podcast category and how the radio industry is in prime position to continue to innovate across the sector. I Have An Idea for a Podcast, Will You Sign Me Up? will feature award-winning US producer Julia Henderson (ESPN Podcasts), Jay Walkerden (Nova Podcast) and Grant Tothill (SCA’s PodcastOne). The session to be moderated by Jaime Chaux (CRA, head of digital), will look at what will be the next wave of podcasts and what it takes to turn an idea into a viable podcast series. Building Your Podcasting Game will explore how radio professionals have branched out into podcasting, juggling existing careers and developing a new set of skills. The Did You Want a Brand with That? session will explore what clients are looking for in branded content podcasts and how to balance the demands of original content and client messaging. Another key session is Preparing for Hybrid Radio Audience Measurement presented by GfK’s Dr Morten Boyer. He will explain the world-first initiative that will take an evidence-based approach to developing the next iteration of RAM in Australia. Also speaking at this year’s conference will be Cathy O’Connor, chief executive officer of Nova Entertainment and inaugural chair of the CRA Automation and Programmatic Committee, on the future of buying radio. These speakers join the already announced competing drive time presenters Ben Fordham (2GB), Kate Langbroek (Hit Network), Will McMahon (KIIS) and Kate Ritchie (Nova) in a headline panel discussion on the rise of the drive time session, and Amazon Alexa Skills country manager for Australia and New Zealand, Kate Burleigh, on the future of voice technology and the implications for consumers and brands. The Radio Alive 2018 conference will be held at the Melbourne Convention & Exhibition Centre on October 19, followed by the gala black-tie Australian Commercial Radio Awards on October 20. A city almost twice the size of Brisbane will be added to southeast Queensland’s population over the next quarter of a century, according to new findings released today in The Courier-Mail. The Future SEQ special series, launched today in The Courier–Mail, will examine the threats ahead, explore options for solutions, and reveal innovative and achievable ideas for transforming the vital region which includes Brisbane, the Gold and Sunshine Coasts, Logan, Moreton, Redland, Ipswich, Toowoomba and Lockyer Valley. There has been progress with $10 billion in projects in Brisbane alone during the series, including Brisbane Live, Cross River Rail, Brisbane Metro and the Waterfront Precinct in the CBD. “Our future as a place people will want to call home and work from depends on planning decisions made today to get it right for tomorrow. “The southeast Queensland of 2043 will be the same size as Sydney or Melbourne is today,” Salt said. Salt will also deliver his vision for the future of southeast Queensland at a special lunch event in Brisbane on October 23. Tickets are available at couriermail.com.au/tickets. The Future SEQ campaign will run in The Courier-Mail and The Sunday Mail in print and digital, with Sky News broadcasting the October 23 event. The campaigns runs until October 24. The campaign will be launched with an eight-page wrap of The Courier-Mail, continuing daily with coverage in news as well as opinion and business across seven days. It also is supported by a dedicated digital site, which also showcases exclusive images of a future Brisbane provided by campaign partners. Professional services firm PwC has provided exclusive insight and analysis with city-shaping specialists Urbis to bring the visions to life in striking images. 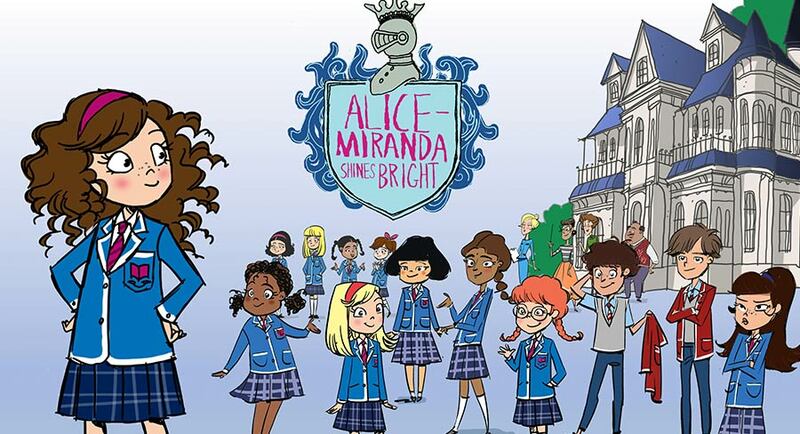 SLR Productions has announced production of an 80-minute animated drama-comedy telemovie, Alice-Miranda Shines Bright, with partners Screen Australia, Nine Network and ZDF Enterprises. The animated telemovie, targeted to the 6-9yo audience, will premiere locally on the Nine Network and will be distributed internationally by ZDF Enterprises. The 17-part book series (and counting) has been an extraordinary success with sales exceeding 850,000 copies in Australia and 1,000,000 internationally including key international territories such as UK, North America, Germany, Brazil, Hungary, Turkey and Indonesia. 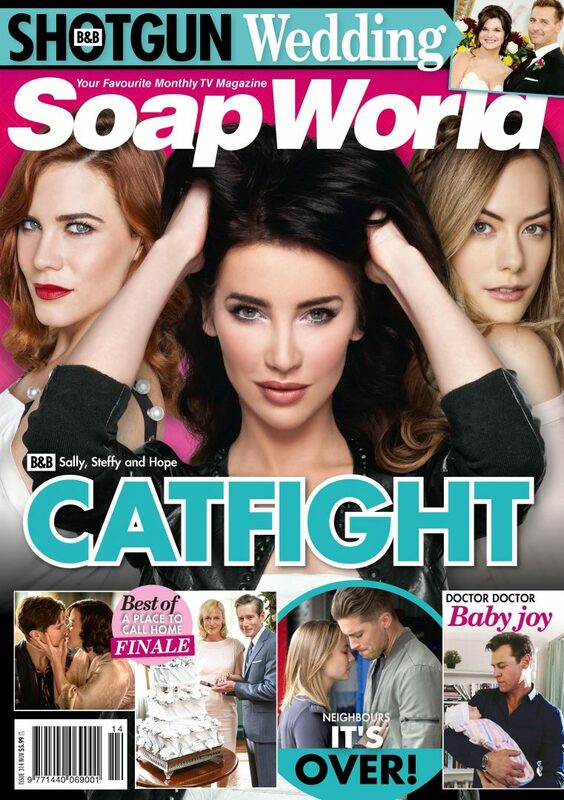 “I am thrilled to bring this perpetually positive and beloved young heroine Alice-Miranda to the screen with esteemed partners, Screen Australia, Nine Network and ZDF Enterprises. It’s an honour to work with Jacqueline Harvey, the author of this incredible publishing property, and to know that Alice-Miranda’s loyal and dedicated audiences will soon be sharing in her awesome adventures on screen,” said SLR Productions’ CEO and executive producer Suzanne Ryan. “Alice-Miranda is a great role model for our audience and we are delighted to be working on this exceptional project with the team at SLR Productions. We know that Alice-Miranda has a great following with young readers and Jacqueline Harvey is one of Australia’s top female children’s authors. 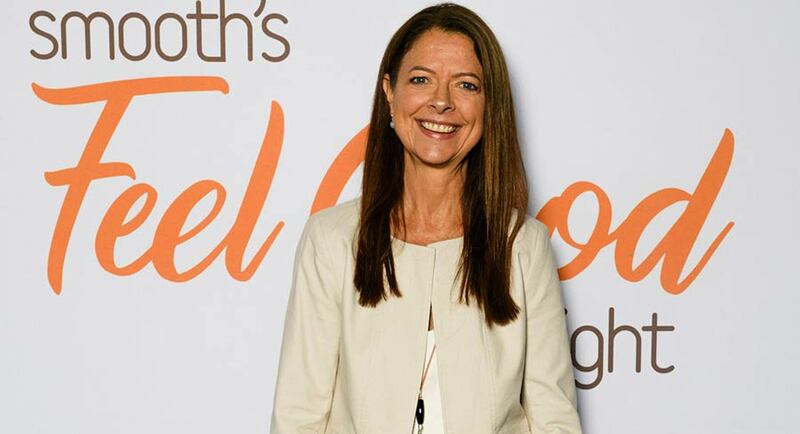 We believe all the right ingredients are in place for this dynamic, quality Australian children’s drama to be a huge success on Nine,” said Nine Network co-head of drama Jo Rooney. “We are thrilled to be working with our longtime partner Suzanne Ryan and her team at SLR Productions on this animated adaptation of the Alice-Miranda book series by Jacqueline Harvey. The books are loved by millions of young girls all over the world and we are sure they will enjoy the telemovie Alice-Miranda Shines Bright just as much,” said Arne Lohmann, VP ZDFE.junior at ZDF Enterprises. Not a lot of movement this week with just two artists creeping into the top 10 from lower down the chart while three artists debuted inside the top 50 – but all of them in the 40s. Khalid’s Better climbed into the top 10 at #8, moving up from #12 after three weeks on the chart. Also into the top 10, at #10 from #14, is Canadian DJ duo Loud Luxury with Body, which hits a new peak after 12 weeks on the chart. Lots of turnover at the top with six top 50 chart debuts, five of them cracking the top 10 on week one. Eminem has lost top spot with Kamikaze dropping to #4 on its fifth week on the chart. 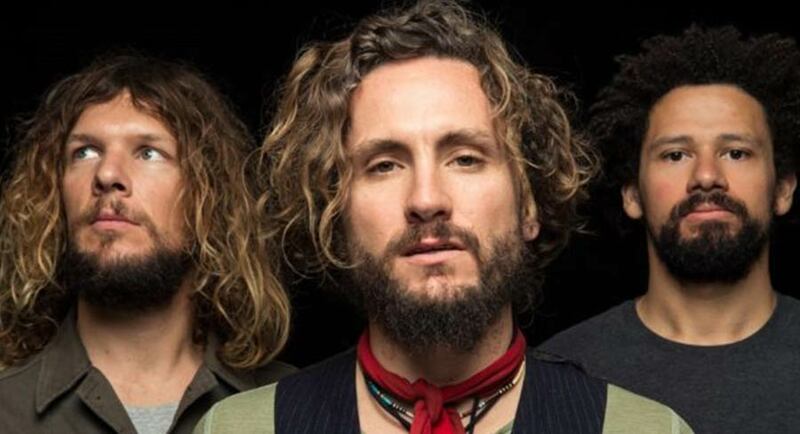 #1 The John Butler Trio with Home. Seventh album and fourth #1 for Burler. #2 Cher with Dancing Queen. 29 years after first landing a #1 album, Cher is back in the top 10 with her 26th album. #3 The Living End with Wunderbar. Eighth album, two of which have topped the ARIA chart. #6 Lil Wayne with THA Carter. The rapper’s 12th album and the first to chart here since 2013. #8 Logic with YSIV. Another US rapper in the top 10, this time with his fourth album. After their NRL Grand Final appearance last weekend, Gang Of Youths have eased back into the top 50 at #43 after the #1 album Go Farther In Lightness has spent a total of 59 weeks on the chart. Also slipping into the 50 at #47 on another wave of ABBA nostalgia is ABBA Gold & More (Anniversary edition) after 58 weeks on the chart and a previous peak of #9. Easing out of the top 50 after 319 weeks on the chart is INXS with The Very Best. FIFA 19 has unsurprisingly blitzed directly past the keeper and crashed into the back of the net, shooting immediately to first spot on the charts for last week. The FIFA series is the best-selling sports franchise in the world so, with no bigger competition hitting shelves at this time, the result was virtually a forgone conclusion. 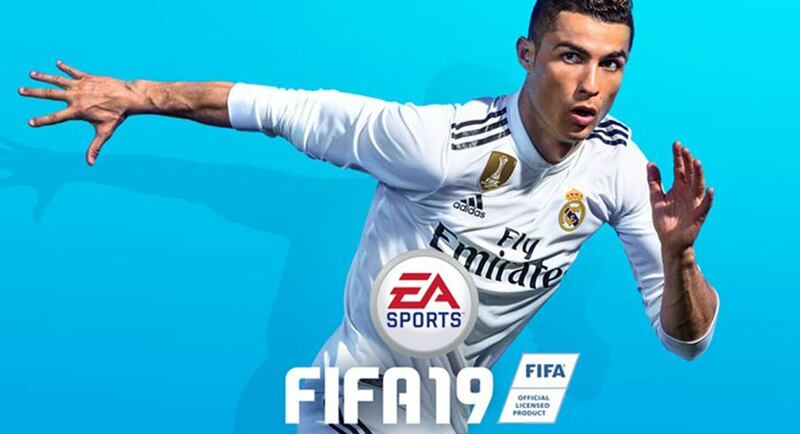 FIFA 19 is a definite improvement over last year’s instalment and adds several features sure to resonate with football and FIFA fans, including a licensed Champions League mode (snagging the one bragging right rival football series Pro Evolution Soccer previously had over its rival). You can check out IGN’s review here. Spider-Man and NBA 2K19 continue their charts success in positions two and three. This is the fourth consecutive week the PS4 exclusive Marvel’s Spider-Man has found itself in one of the top two spots. First-party PS4 exclusives are generally strong performers so expect to see it hover in the charts for many weeks to come. Shadow of the Tomb Raider drops a single spot to fourth, still unable to leapfrog NBA 2K19 in physical sales but comfortably in the top 10 for now. The fantastic Forza Horizon 4 enters the charts in fifth spot, which is impressive considering these charts ended on September 30 and Forza Horizon 4 wasn’t officially released until October 2 (Microsoft provided early access to the game from September 28 for digital purchasers of the Ultimate Edition, and it appears some retailers were selling special physical bundles which included a download code for the Ultimate Edition). Forza Horizon 4 is an open-world racing game set in Britain. 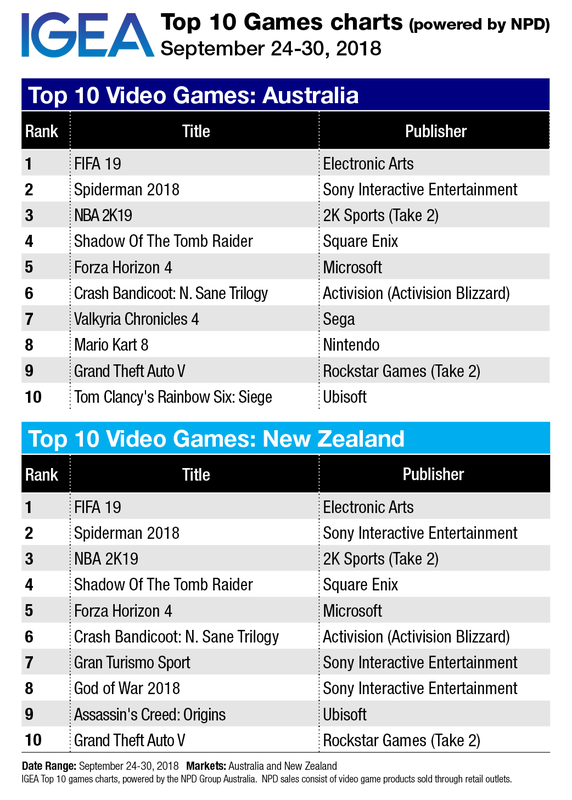 Forza Horizon 3, which was set in Australia, was the most-played Xbox game down under in 2017 and the fourth biggest Xbox game in Australia for all-time so it’s no surprise to see the follow-up performing well. SEGA’s Valkyria Chronicles 4 is the final new face in the charts this week, coming in at seventh. It’s certainly more niche than the likes of FIFA 19 – it’s a Japanese RPG that fuses turn-based tactical battles with semi-realtime, third-person shooter combat, set in an anime-inspired backdrop based in an alternate reality World War II(!) – but there is clearly a dedicated following out there that were still quick to snap up this long-awaited and quality sequel. 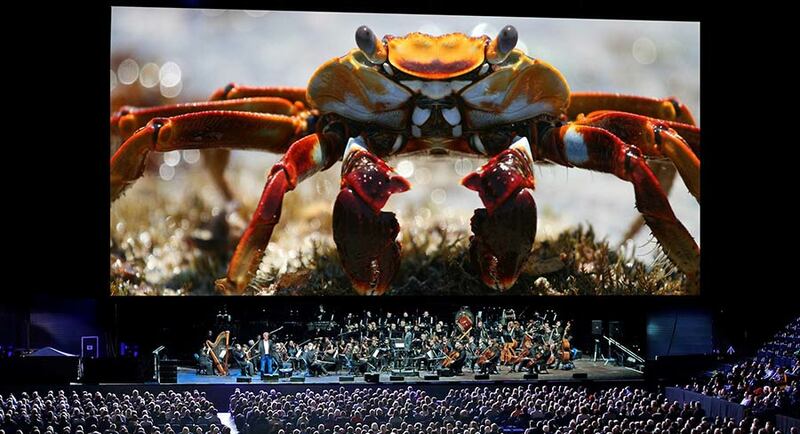 Fairfax Media’s events business is under the microscope with options being explored about how the asset could sit in the Nine Entertainment portfolio, reports The AFR’s Max Mason. The future of the events business is understood to be undecided, but a straight sale is unlikely given its reliance on Fairfax mastheads, such as The Australian Financial Review, The Sydney Morning Herald and The Age. The publications are key marketing platforms for the events business. The Financial Review revealed Denver-based Motiv made an informal approach in August. Motiv runs events such as the Golden Gate half marathon in San Francisco and other digital and live experiences. Publisher News Corporation is seeking to double down in Australian horse racing with the acquisition of online industry news provider Racenet, reports The AFR’s Street Talk. Racenet was founded by Sydney-based Craig Tompson and Glenn Robbins about 20 years ago and offers independent Australian racing news to customers, as well as form guides, results and the like, and is littered with advertisements from corporate bookmakers. Racenet is similar to another digital racing news site, Punters.com.au, which is backed by News Corp. The ACCC is looking at whether the Punters/Racenet combination would impact other betting affiliates from expanding or entering the market and what impact it would be to lose an “independent alternative source of racing news”. Betting advertising has smashed all records over the last year, in sharp defiance of predictions it would collapse in the face of recent legislation introducing a “siren to siren” television ad ban, reports The Australian’s Nick Tabakoff. Definitive new advertising payment figures exclusively obtained by The Australian – compiled by industry bible Standard Media Index – reveal that spending on betting ads has boomed, hitting a record $282 million across all media categories for the year to June 2018. This was up by more than 22%, as the major betting companies, including Sportsbet and BetEasy (the rebadged merged entity of CrownBet and William Hill), have made a major land grab that has significantly driven up prices for premium ad space. French TV giant Banijay Group is in talks to acquire production powerhouse Endemol Shine, sources confirm to The Hollywood Reporter. Some suggested that the company is currently the lead bidder, but the auction process isn’t finished yet. Banijay, led by CEO Marco Bassetti, was founded 10 years ago and is one of the largest independent TV producers. The company is owned by LOV Group and DeA Communications, with Vivendi also owning a stake. UK TV giant ITV on Wednesday said that it wasn’t planning to submit a takeover offer for Endemol. Other big-name companies originally mentioned as possible suitors have included RTL Group’s FremantleMedia and Liberty Global/Discovery Communications’ All3Media, but one source told THR that they haven’t shown real interest in pursuing a deal. 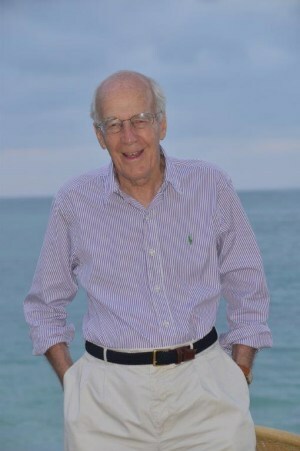 David Yaffa, proprietor of Yaffa Media, publisher of AdNews, has died aged 84. 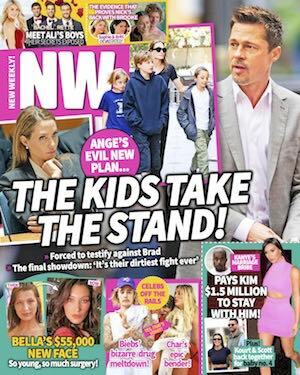 A staunchly independent and passionate publisher, he built an empire of more than 30 business and consumer magazines and websites, becoming a significant force in Australian media, reports AdNews. James Yaffa, publisher of AdNews, said: “I had the privilege to work with Dad for over 20 years, and enjoyed every minute of it. For me Dad was a real character who made a positive impact on so many Australians. Our staff simply respected him like no other. The Australian Financial Review reports it has struck a partnership with Caixin to exclusively bring its readers content from China’s foremost independent business and finance news outlet. Caixin Media is China’s most influential media group, publishing news magazines, online news and Caixin Global, its English language outlet. The Financial Review’s content-sharing partnership adds to its source of syndicated quality international news and information, including from the Financial Times, The New York Times, The Washington Post and The Daily Telegraph in the UK. While large publishers are cutting staff and reducing coverage, independent publishers are thriving in many rural communities, reports Guardian Australia’s Brigid Delaney. Almost three years ago, Alison Andrews moved back to her hometown of Longford, in northern Tasmania. After decades of working in the media, she cashed in her super and bought the town’s tiny newspaper, the Northern Midlands Courier. She sells the ads, takes the photos, writes the stories and organises distribution. Further north-west, in central Victoria’s Castlemaine, acting newspaper editor Andrea Crawford is also upbeat. The Castlemaine Mail may have been around for 160 years, she says, but it is going from “strength to strength”. Geraldine Sutton was born on March 9, 1947, to Barbara, an artist, and Ian Sutton, a Sydney newspaper production manager from Lane Cove, Sydney, who worked at John Fairfax & Sons before moving to Rupert Murdoch’s News Limited where he played a key role in launching The Australian newspaper in 1964, reports News Corp’s Annette Sharp. Just months after joining the News Ltd secretarial pool Gerri sat the cadetship exam, topped it, and landed a three-year cadetship on afternoon newspaper The Daily Mirror. The forthright and fearless Sutton was soon on her way as a court and general news reporter. In the decade that followed she would prove herself a meticulous and tough reporter, a wonderful wordsmith and a formidable opponent. After receiving her grading as a journalist, Gerri soon was tasked with writing news features and interviewing some of the world’s most charismatic identities, among them touring Canadian Prime Minister Pierre Trudeau. The one-on-one interview in 1970 produced excerpts published around the world. One memorable news feature saw her assigned to conduct an investigation on wayward youths. For the story she was paired with newly employed Mirror reporter John Hartigan, a future CEO of the company, but then an unknown who Gerri took firmly under her wing. The assignment led to romance and on September 2, 1972, marriage. The union would last more than three decades and produce one adored daughter, Jessica, in 1978. In 1992, Gerri joined the founding team at magazine Who Weekly as the title’s television critic – a role that would last until her retirement in 2005 when she left journalism to spend more time with her daughter and her prize-worthy rose garden in Roseville. Gerri passed away peacefully, with daughter Jessica at her side, following a long illness on Sunday September 30. 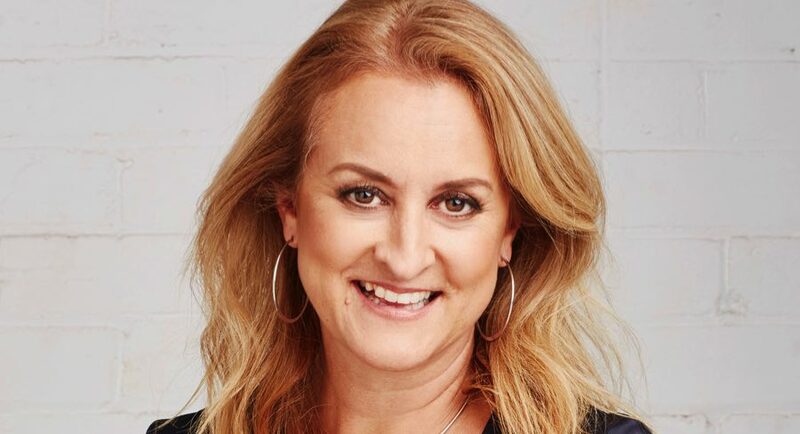 Chris Oliver-Taylor, new chief executive of production company FremantleMedia Australia & New Zealand, says streamers are at their best when they partner with local production houses and broadcasters, reports The Australian’s Justin Burke. FremantleMedia produces the long-running prison drama Wentworth, which screens locally on Foxtel but which streams internationally on Netflix. By far the most enthusiastic participant in the Netflix co-productions has been ABC, with Glitch, The Letdown, New Legends of Monkey and the upcoming Pine Gap (premiering on Sunday). Netflix has completed only one other local co-production, the animated series Beat Bugs with Seven. 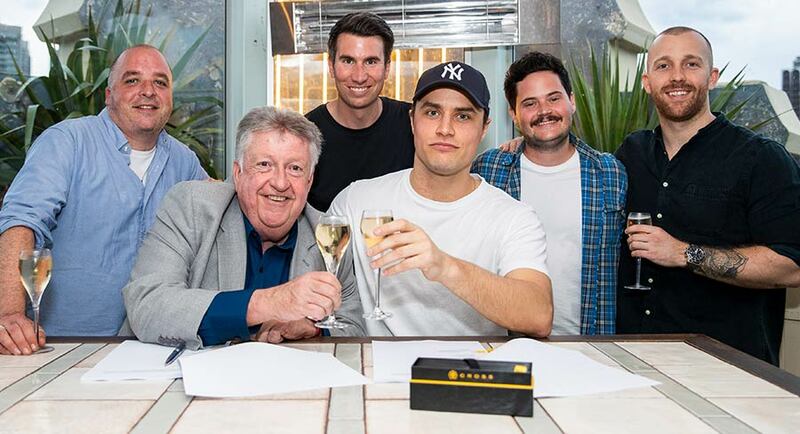 Marshall Heald, the director of TV and online content at SBS, says that the multicultural broadcaster has had great success with creating limited series for the Australian market and gaining international distribution with streamers. “To date we have been commissioning predominantly in the four x 1hr miniseries format. That’s a model that was traditionally a harder sell in terms of international distribution, but the market has certainly evolved,” he says. Others are not so sanguine about dealing with the international streamers. “Netflix and Amazon love taking all the rights from producers. It leaves no potential earning down the track and we are reduced to ‘fee for service’,” says veteran producer Nick Murray from Cordell Jigsaw Zapruder. The Block superfans have choked St Kilda streets surrounding the former Gatwick hotel on Sunday, some waiting for days for their chance to inspect the renovated apartments, reports Domain’s Jim Malo. Rachel Delahunty could be one of the most committed fans yet – she sat in Loch Street from 5am Friday and this is the ninth year in a row she has lined up for days to see the properties renovated on the show. The show is in its 14th season, and feverish fans continue to turn up in their thousands to see what the contestants have spent months creating. Gogglebox favourites Tom Walsh and Wayne Mott plan to exit the hit series at the end of this season, reports TV Tonight. Tom Walsh told JOY podcast Word for Word he didn’t plan on continuing with the show. “Tonight I start filming episode seven, and I think I have about three more left,” he said. Asked by host, an ex-Big Brother winner Benjamin Norris, if he might stay if the price was right, Walsh said no. “I’ve had a lot of fun. And I think it’s just time,” he said. Car giant Kia is the first major sponsor confirmed to be locked in for the Nine Network’s television takeover of tennis’s Australian Open, with the company all but certain to sign on for a deal estimated to be worth up to $3 million a year, reports The Australian’s Nick Tabakoff. It is understood Kia will become one of Nine’s three main broadcast “partners” for its summer of tennis, with the TV network believed to still be in discussions with a number of other Australian Open sponsors, including banking group ANZ, pasta maker Barilla and vitamin company Blackmores. The Kia partnership deal will cement what is set to be a massive $100m-plus, five-year commitment by the Korean car giant to the sponsorship of Australia’s grand slam event, and the media coverage that surrounds it. Just as we thought Professor James Rochford was disappearing from our TV screens for the summer months, Fox Sports has given the mad presenter a new late-night cricket show, reports News Corp’s Phil Rothfield. The Nightwatchman will be shown on Friday nights after Big Bash games. The Professor will be joined by a range of cricket’s funniest characters and biggest stars for some harmless fun directed at the players, fans, and every other aspect of the game that they can get their hands on. You can bet we’ll see some sandpaper. The show debuts on December 21. Fox Sports has also hired Triple M personality Gus Worland to host another new show, Cricket Tragic, which will have a similar theme to Andrew Voss’s The Fan during the NRL season. He’ll cover everything from old one-Test wonders to the legends of grade cricket and the wackiest fans.